Lodwar is the capital of Turkana County in Kenya. With a population of approximately 48,300 people, its main industries are tourism and basket weaving. Lodwar is a remote town, located in the northwest, offering some of Kenya’s unknown gems, including arid volcanic hills. Touristic attractions in Lodwar include Sibloi National Park, Lake Turkana and Kenyatta House. Cheap flights to Lodwar are limited for a short period of time, so get ready to be intrigued by this amazing town! Lodwar is home to Lodwar Airport (LOK), which is a 5-minute drive from the city centre of Lodwar. Lodwar Airport serves a few local airlines such as Fly 540. There are no direct flights from Johannesburg to Lodwar Airport, but 1 hour and 40-minute flights from Jomo Kenyatta Airport to Lodwar Airport are available. 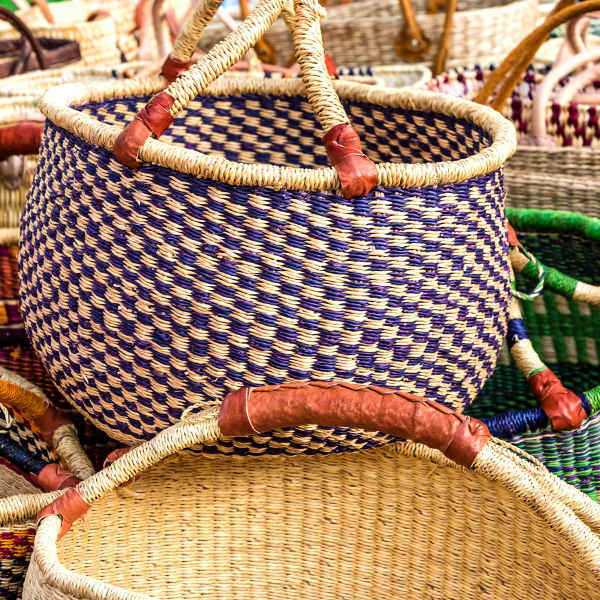 The Turkana women weave the most beautiful baskets made from a palm-type plant. These one-of-a-kind baskets are a huge source of income for many women. Get a sense of the local’s culture by visiting these colourful basket markets! Lake Turkana is the largest alkaline lake in the world. Nicknamed “the Jade Sea” due to its mesmerising greenish-blue water, Lake Turkana is an ethereal sight. 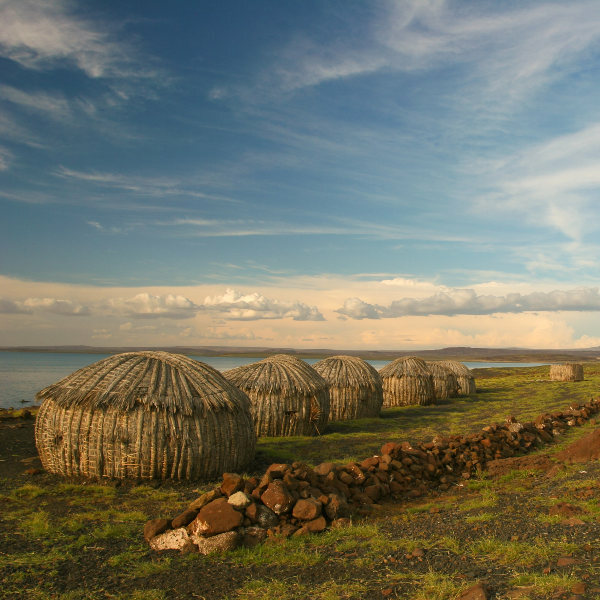 Some of Kenya’s most remote tribe settlements can be seen around the lake. Take a tour of the thought-provoking historical sites in Lodwar. This tour will provide great insight into the remote town. Visit the Kenyatta House (where Kenya’s first president was detained) and the River House located on the Turkwel River. Lodwar has a hot desert climate. The best time to visit Lodwar depends on the reason for your visit. You should avoid visiting Lodwar during the hotter, dry months, particularly from January to March. In March, Lodwar experiences an average temperature of 30°C. Consider visiting in the cooler months of June, July and August. Lodwar is a large town in north-west Kenya and is considered the capital of the Turkana District. Remote and dusty streets come to mind at the mention of Lodwar, and it is considered a wild town. 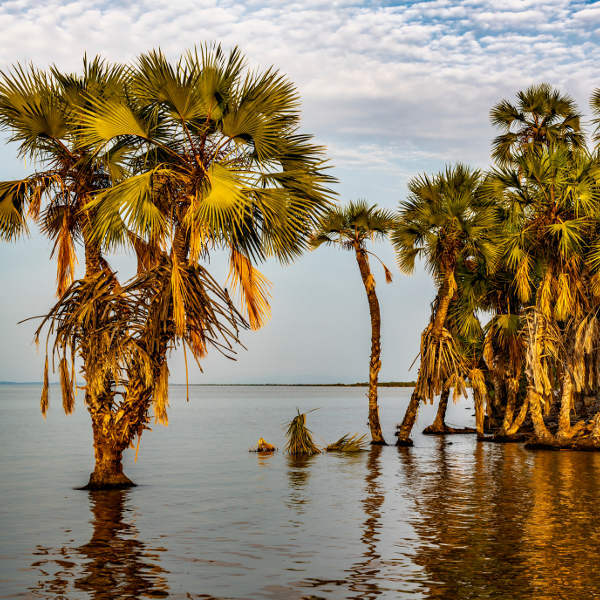 A trip to Lodwar will lead you to one-of-a-kind natural attractions such as the beautiful Sibiloi National Park – found on the edge of the largest desert lake in the world, and the tremendously beautiful Lake Turkana. Lodwar is an up-and-coming tour destination that deserves your attention! For those who dare to travel far north in Kenya, you’ll be pleasantly surprised at all the culture and natural beauty this off-the-beaten-track town has to offer. The beauty of Kenya makes your visit extremely special with the lovely African philosophy of Ubuntu pulsating through the air. Compare multiple airlines and book cheap flights to Lodwar with Travelstart! South African citizens do not require a visa to fly to Kenya. Make sure your passport is valid for at least 6 months after the return date and ensure that you have 3 blank pages for entry stamps. All travellers must be up-to-date with routine vaccinations before travelling to Lodwar and the rest of Kenya. These routine vaccines include measles-mumps-rubella (MMR), diphtheria-tetanus-pertussis, varicella (chickenpox), polio and yearly flu shot. Travellers are also advised to get vaccines for hepatitis A, hepatitis B, malaria, typhoid and yellow fever. Travellers should remain vigilant with their belongings and surroundings throughout their visit in Lodwar. • Carry your identity document or a copy of your passport with you at all times. • Be vigilant of bag-snatching and pick-pocketing in public spaces. • Do not flash your electronics and jewellery in public spaces.